Ministries - World Changer Kids, Inc.
NEW! 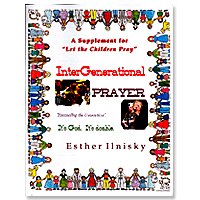 Finally - a supplement to Esther Ilnisky's classic book Let the Children Pray! This fabulous resource allows you to see step-by-step instructions on how to organize your own children's global prayer meeting(s)! Make sure your church has corporate prayer and don't leave out the children! This rare reference includes reprints of magazine articles from Pray Kids! 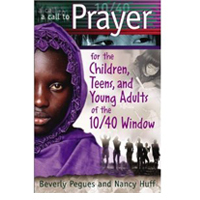 written by Esther Ilnisky and a "5 Lesson Teacher's Guide for Raising Up Praying Children"! Tap into the power of God moving through praying kids! Your church and your children's ministry will never be the same! Crafts, activities, songs, and more creative ideas than you could imagine to involve kids in world missions through your church or as a school group or family! Launch your own kids' outreach program! For Kids Ages 6 - Teens. 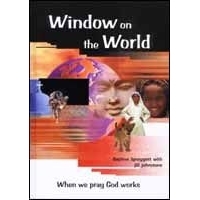 This book gives you can exciting overview of the complex issues and spiritual needs that face children and youth in the most needy, spiritually unreached part of the world with regard to the Gospel. Propel yourself and your children into prayer for the most unreached! 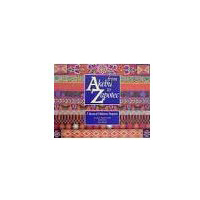 Akebu to Zapotec is a wonderful book with full color illustrations of 26 different Bibleless people around the world, one people group for every letter of the alphabet! 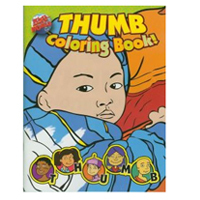 Great for cultural teaching or prayer times for young children, ages 4 - 12. 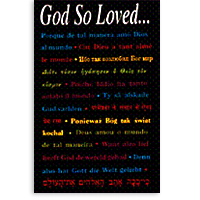 Beautiful tract reproduces John 3:16 in 12 different languages: English, Arabic, Chinese, Japanese, French, German, Greek, Hebrew, Hindi, Italian, Russian, and Spanish. Includes an English invitation to accept Jesus as Lord and Savior on the back. 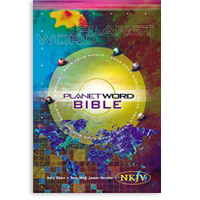 Perfect for lessons about world languages and cultures, Bible translation, and missionary travel / language learning. This tract is also great for outreach, international students, and missions banquet favors. Tie them to helium balloons and have your own international Gospel balloon launch! 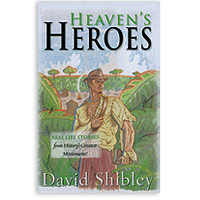 This wonderful book by David Shibley contains 22 short biographies of famous missionaries that will inspire kids to be world changers! Perfect for school classroom, school libraries, story time, bedtime stories, or family devotional time, these missionary life stories will impress even the youngest students that they can make a difference in this world for Jesus Christ! Developed just for teens, this multicultural Bible helps kids see a cross-cultural perspective of the Scriptures, including different cultures, languages, missionaries, people groups, and more! A full color 32 page supplement in the back of this Bible takes kids on a "world tour" of North & South America, Europe/Russia, East Asia, South/Central Asia, The Middle East, Africa, and Oceania! What more could you ask for to give kids ages 9 - 12 a world vision? Have you ever wanted a children's Bible that included over 300 color photos from around the world to help kids discover a global perspective on reaching the world with the message of salvation through Jesus Christ? Your search is over! This is it! 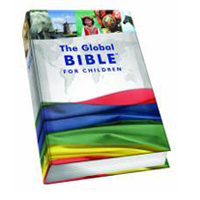 Finally, a children's full text Bible that introduces children to other cultures and countries and encourages them to be a part of fulfilling the Great Commission! Great for kids ages 6 - 12. This 62 minute DVD uses parts of the Jesus film narrated by children and introduces children to having a relationship with Jesus Christ! 8 languages included: English, French, German, Italian, Polish, Portuguese, Russian, and Spanish. Have a Jesus film party for your Sunday School class or for the children in your neighborhood and introduce them to Jesus! Have an outreach in your church or an international church nearby, and invite friends and neighbors with their children! NTSC format. This 62 minute DVD introduces children to the life of Jesus, and the end of the DVD features an invitation by a child for children to begin a relationship with Jesus Christ. Perfect for outreach through your church, Vacation Bible School, home, Sunday School class or through international churches in your community! Have a Jesus film party and introduce kids to new life with Jesus! Languages include English, Arabic, Cantonese, Mandarin, Japanese, Korean, Vietnamese, and Tagalog. NTSC format. This is the best missions resource book we know made just for kids! (Best for ages 10 and up) This beautiful, full-color book gives stories and information about 92 nations and people groups around the world, including history, culture, traditions, and prayer points. Use as a supplement for teaching or homeschooling or use as a weekly teaching and devotional at home for the whole family! This book could also be used for a Sunday School or missions class for kids at your church! Help your kids become world changers! 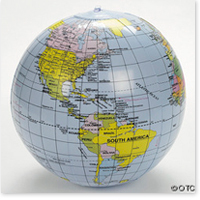 Use these geographically correct globes to teach your kids to be world changers! 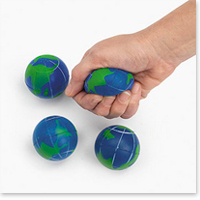 Play geography games or toss these around to pray for countries, people groups, or missionaries! Also great for decorations! Hang them from the ceiling to give your church, Sunday School, or missions class a real world vision! Add a colorful touch to your Sunday School, school classroom, or home school room with this 15 foot line of flags. Each flag is one foot wide. 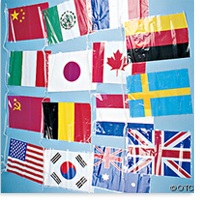 Use these flags for games, prayer for nations, or decor for your missions class or international party! Demonstrate that kids CAN change the world! Just have them squeeze this soft globe, which changes shape, then returns to its original form. Have kids squeeze the globe while they pray to give them the confidence that God hears and answers their prayers on behalf of the nations and unreached people of the world! 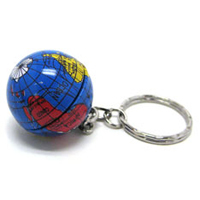 Toss this soft globe for missions games. Colorful set of 8 international hand puppets, each 14 inches high, representing Scotland, Sweden, Russia, India, Africa, Japan, Spain, and American Indian. 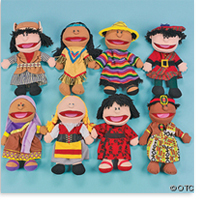 Use for puppet skits, teaching young children about cultures, countries, or people groups. 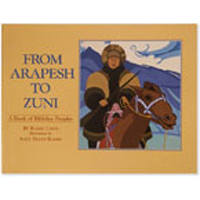 Use puppets to "narrate" missions stories for young children to capture their attention! Make missions stories interactive! Great for prizes for your children's Sunday School class, children's church, family, or home school group. Use as reminders to pray for the people of the world or rewards for geography lessons. Not for children under 4 years of age. A set of 25 fun prayer cards for unreached people based on the T.H.U.M.B. acrostic (T is for Tribal; H is for Hindu; U is for Unreligious; M is for Muslim; B is for Buddhist). Activities, game & craft suggestions are included. A carabiner clip is included to keep your cards organized. One dozen assorted flags of all nations - each flag is 4 inches by 6 inches and comes on an 8 inch stick. These flags are wonderful for prayer reminders, international events or parades, decorations or centerpieces for missions banquets. 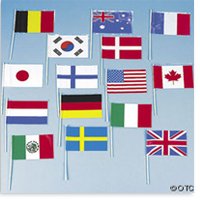 Pass out these flags and let your kids have fun with global prayer, games, or international songs. Another great product from Caleb Project Resouces uses the T.H.U.M.B. acrostic (T is for Tribal; H is for Hindu; U is for Unreligious; M is for Muslim; B is for Buddhist) to teach kids about the 5 major religious blocks of unreached people. Perfect for your creative and artistic world changers! 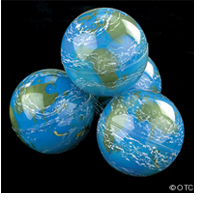 1 1/2 inch high-bounce rubber balls are fun for kids to hold the whole world in their hands! Use for fun prizes for missions games or as a demonstration of how high and far God wants them to go to fulfill the Great Commission: Jerusalem, Judea, Samaria, and the ends of the earth (Acts 1:8)! Not for children under 4 years of age.